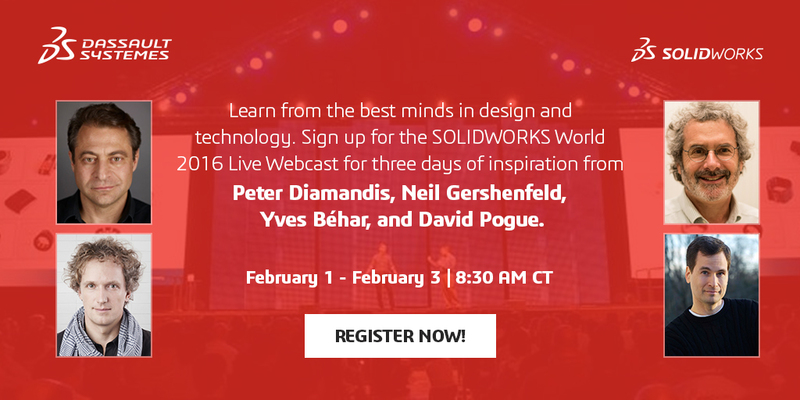 I will be heading out to Dallas,TX to attend SolidWorks World 2016 from 1-3 February 2016. 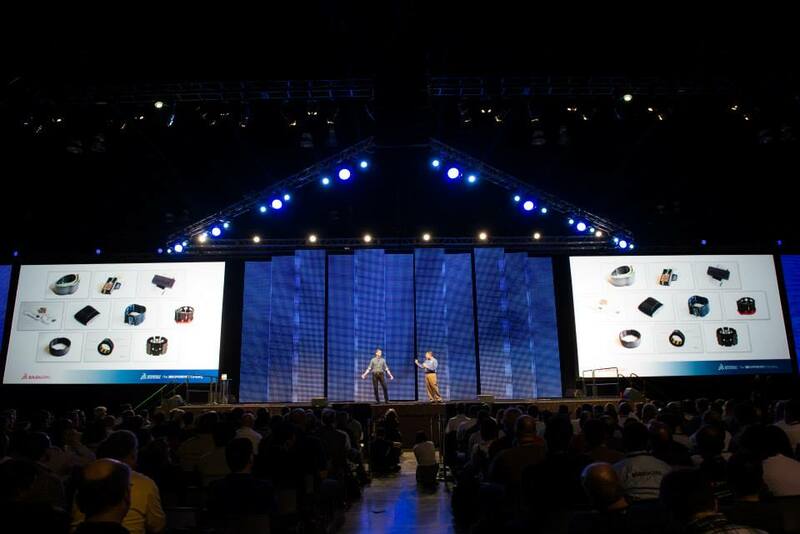 SolidWorks World is a yearly convention attended by more than 5,000 enthusiastic users of SolidWorks. If you happen to attend SolidWorks World, please give me a shout-out, and I’d love to meet you! It is a long journey for me (it takes me about 27 hours to travel each time), but I always look forward to attending SolidWorks World, as it is so inspiring to see the different innovative projects that engineers, designers, scientists, artists and students create with SolidWorks. This year, the organizers from Dassault Systemes SolidWorks invited XPRIZE Founder Peter Diamandis; MIT’s Center of Bits and Atom Director Neil Gershenfeld; Fuseproject Founder and Principal Designer Yves Béhar; and Celebrity Tech Host David Pogue as keynote speakers. If you are unable to attend SolidWorks World, fret not! The General Sessions will be streamed LIVE at http://www.solidworks.com/stream16. I will be providing updates from SolidWorks World on my Facebook page: https://www.facebook.com/selfpac3d/. If you are keen to see SolidWorks World through my eyes, please view my posts on Facebook. I will be posting pictures of cool designs designed in SolidWorks. **Images courtesy of Dassault Systemes SolidWorks Corporation.